UPVC Doors Provide Better Security. The security of any premise is paramount. The importance of this is to ensure that the property, documents and the people within the premise are fully protected. This is enhanced though ensuring that all entrant points to the premise can be secured effectively to ensure there is no unauthorized entry at any given point or time. The common point of entry is the door and in some instances the windows. Among the common applications for this purpose is the use of UPVC doors and windows that are known to offer better security. UPVC is a chemical compound that is a composition of three key elements. These are chlorine, carbon and hydrogen. Unlike the PVC which is plasticized to make it softer, the UPVC is unplasticized a factor that makes it harder and hence a better material for production of strong doors and windows. Unlike the wooden and metal doors, the UPVC doors are other than being stronger resistant to effects of weather thus making them more durable when compared. 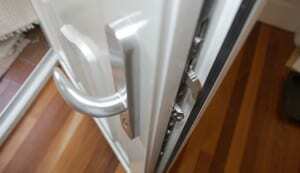 What is different about UPVC doors? This is a door that is made of high quality and virgin UPVC. It contains a thermal core and a ply which are used to make it stronger. Unlike the other doors, the UPVC made ones requires no maintenance and are resistant to corrosive effects of the weather as well makes it easy and efficient for you to clean and maintain. This is further by the fact that you do not have to keep repainting your door. Designs and sizes available. Homes and business premises are built of varying designs. In this regard, the door to be installed requires to match the design of the building to ensure the beauty in its construction is enhanced. It is for this reason that you will find tailor made doors that measure to the design and size of your building. Other than the tailor made doors, there is also a variety of standard door sizes from which you can choose from. Premises are often built to last. This means that the doors installed should equally last in the same manner. This factor makes the UPVC doors an ideal consideration in instances where renovations and refurbishment exercises are undertaken; the doors can be easily reshaped at high temperatures to give you the ideal shape. They are also easy to recycle and this means you have little to lose in case you need to make changes to your building structure. UPVC Doors Provide Better Security. Give us a call at The Advanced Group today on FREEPHONE 0500 338 488 to find out more and to get a FREE consultation with a helpful member of our team. Or Simply complete the enquiry form on this page.